Spring weather has arrived, and the warmer temperatures of summer are just around the corner. The time has come to get outside and start enjoying everything Michigan has to offer to hikers, and two unique programs offer you the chance to score some once-in-a-lifetime prizes in 2016. 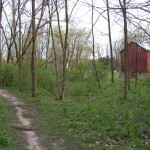 We recently added a “Trails” category to this website while also introducing a new feature called Michigan Trail Tuesday. 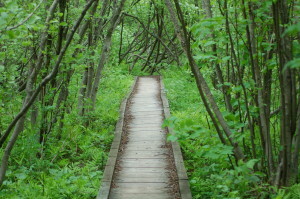 You can check out our feature on the Paul Henry Thornapple Trail to see what kind of information we’ll be providing on some of Michigan’s amazing trails. 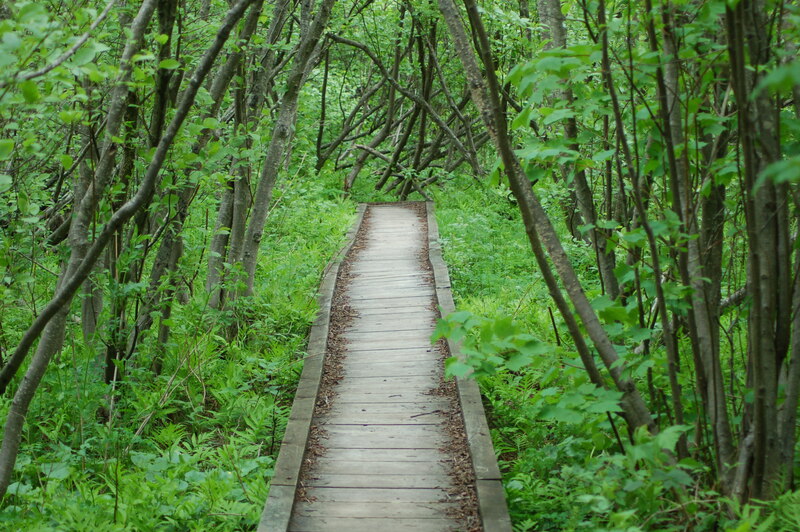 The North Country Trail National Scenic Trail and Pictured Rocks National Lakeshore are each offering prizes to hikers this year, so there’s never been a better time to get out and start hiking Michigan trails! 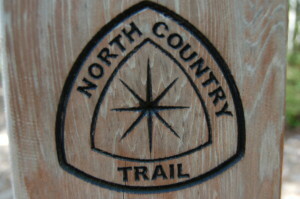 The North Country Trail is a National Scenic Trail that spans 4,600 miles from eastern New York to central North Dakota. Of the seven states it passes through (ND, MN, WI, MI, OH, PA, NY), Michigan has the most trail mileage (875 miles) and is home to the trail’s national headquarters in Lowell. 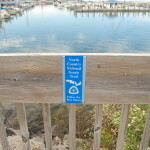 In addition to Lowell, Middleville, White Cloud, Fife Lake, Petoskey, Mackinaw City, Marquette, Kalkaska, St. Ignace and Grand Marais are designated as “trail towns” – described by the NCT as “a community through which the North Country Trail passes that supports hikers with services, promotes the Trail to its citizens and embraces the Trail as a resource to be protected and celebrated.” Favorite sections of the trail in Michigan include the Porcupine Mountains Wilderness State Park, the Lakeshore Trail at Pictured Rocks National Lakeshore, the Jordan River Valley Pathway, and segments in the Ottawa National Forest and the Manistee National Forest. 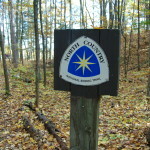 The North Country Trail also winds through many of Michigan’s state parks. You can hike the trail in any state to earn the patch, we’re just more than a little partial to the Michigan segment of it. 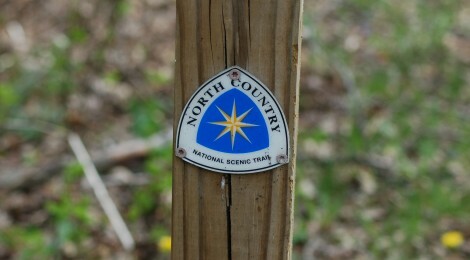 Since the North Country Trail is administered by the National Park Service, and the NPS is celebrating 100 years of national parks this year, they’re offering a special prize to those that hike 100 miles on the trail this year. 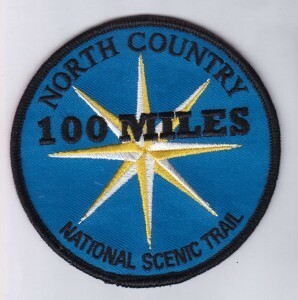 A commemorative patch (shown above) is up for grabs for anyone who logs their miles in 2016 and then submits the proper form by mail or online. You can sign up for email updates and find out all the rules and regulations for this awesome giveaway at: https://northcountrytrail.org/get-involved/special-events/hike-100-challenge/. 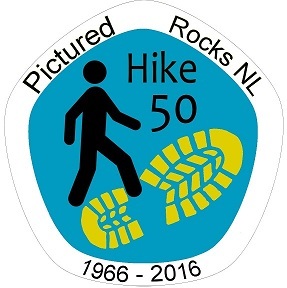 Trail users are encourage to share their trips on social media and use #Hike100NCT. In addition to the North Country Trail patch, you can also earn a special prize for hiking 50 or 100 miles at Pictured Rocks National Lakeshore this year (must be completed by Oct. 16). you can find the full details of this program at: https://www.nps.gov/piro/planyourvisit/hike50or100.htm. This year marks the 50th anniversary of Pictured Rocks National Lakeshore in addition to the National Parks centennial. 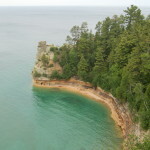 With more than 40 miles of North Country Trail running through Pictured Rocks National Lakeshore, there’s a great opportunity to double up on prizes while taking in some amazing scenery. If you’ve followed our posts for any length of time, you’ve probably realized by now that we absolutely love Pictured Rocks National Lakeshore. 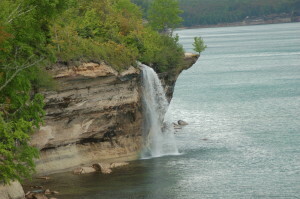 You can find some of our recommendations for great trails in the following posts: 50 Things To Do At Pictured Rocks National Lakeshore, 8 Pictured Rocks Day Hikes, and Photo Gallery Friday: Hiking to Spray Falls. There are trails of varying lengths and skill levels at this national park, and we have yet to find one that wasn’t scenic or memorable. Use #Hike50PRNL or #Hike100PRNL when sharing your adventures on social media, and feel free to use #travelthemitten anytime so we can follow along as well!